REALTOR® Magazine features HomeSense® Realty's Brokerage business model, growth, and National expansion. Excerpt: "...(McClellan) had been intrigued by the 100 percent commission model favored by big players like RE/MAX and Realty Executives...McClellan tweaked the 100 percent model, switching to a model that was almost virtual. 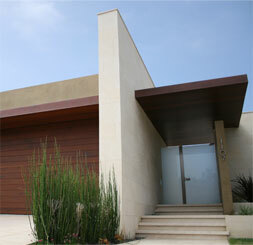 His business model switch brought increased interest in his brokerage. By early this year, he was affiliating an average of 10 sales associates a month, up from about three a month prior to the change. Today, he has 80 and he's expanded into Minnesota and Wisconsin, with seven more states in the pipeline." Florida REALTOR® Magazine article featuring the Broker & President of HomeSense® Realty titled "Rockin' Realtors®." Excerpt: "Realtor® by Day, Rock Star by Night...like Jess McClellan (above with members of the band KISS) , Broker/President of HomeSense® Realty Corp. in Tampa. He's played music since he was a 10-year-old boy growing up in Michigan, but he's not willing to give up his day job. "The real jobs of running a company and supporting a family take precedence..." The self-taught musician plays drums, sings, writes and is content recording his own music..."
Florida REALTOR® Magazine features HomeSense® Realty's associate growth and agent referral program. Excerpt: "At HomeSense® Realty..., Jess McClellan, broker-president, has built his company in a short period by offering incentives to existing sales associates who bring in new recruits. "...(Agents are now) coming to me by word of mouth," McClellan explains,...(he) estimates that one-third of his current team was recruited through sales associate referrals. Mortgage Originator Magazine's "Giving Back" column features HomeSense® Realty President in an article titled "Running for a Cure." Excerpt: "...President & CEO of HomeSense®...promised a company match for all donations. "They all know who I am and they know this is a cause I am involved with," he says. "Getting my co-workers to participate in fundraising creates a sense of community mindedness...It's definitely a rewarding experience. Running a marathon is personally satisfying as an individual, but to be able to raise money for a worthwhile charity makes it doubly rewarding..."
Florida Mortgage Press article featuring HomeSense® Realty Corporation's Broker and President. Excerpt: "Jess McClellan (center), President and CEO of HomeSense® (Realty and) Mortgage Corporation, and participant in the 109th Boston Marathon, takes a break for a photo op with his twin sons after a race last year..."
Mortgage Originator Magazine article features Broker & President of HomeSense® Realty. Excerpt: "...Jess McClellan, President and CEO of HomeSense® (Realty and) Mortgage in Tampa, Fla., took a proactive role in earning money for (the charity) by running several high-profile marathons, including the Boston Marathon in April...Although he made great strides in fundraising, McClellan's main goal was to raise awareness for this important cause." 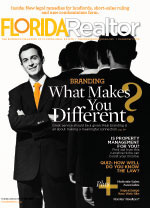 Article featuring HomeSense® Realty's Broker & President in a Florida Community Magazine. Excerpt: "...(McClellan) was invited to participate by the Boston Athletic Association to represent and raise money for (the charity)...He fits his training schedule around his work as President & CEO of HomeSense®..."
Massachusetts Mortgage Press article about the Broker & President of HomeSense® Realty. Excerpt: "...President & CEO of Tampa-based HomeSense®...is running for the Marathon Strides Against MS team...(and) has already raised several thousand dollars toward the cause."